CEO of Young Mission Entertainment Nana Amoako, the firm behind Pataapa’s recent Europe Tour has regarded Pataapa as an ungrateful artiste. Pataapa recently embarked on a Europe Tour which came with a lot of controversies. Pataapa on his return, rudely ignored the media and angrily walked into his car while he was being interviewed. In a recent interview, the ‘One Corner’ hitmaker accused his Europe Tour promoter of lying and threatened to sue him if he does not bring his money. This didn’t go down well with the promoter, hence he described Pataapa as an ungrateful artist. In an interview with DJ Nyaami on ‘We Dey Vibe’ on SVTV Africa, Nana Amoako revealed that, the money owed Pataapa and his management team is not be paid by him, but a different promoter in Norway but because he led Pataapa and his team to the said promoter in Norway, that is why Pataapa is accusing him of lying. Nonetheless, Nana Amoako said this is not the right way to go about the issue especially after all the good things he did for Pataapa for free. He added that, Pataapa while in Europe, gave him a lot of trouble but he overlooked it and moved on because he had a lot of respect for artistes whether big or small. 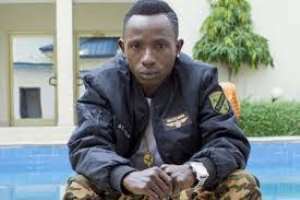 “Tell you what, Patapaa gave me a lot of trouble while in Europe but out of respect for artistes and Young Mission Entertainment, we didn’t say anything because it’s part of the business so we just overlooked it and move on,” he added. Young Mission Entertainment is a vibrant Ghanaian and worldwide artiste management and event organizing company on a mission of promoting African artistes abroad.